W.T. is a wearable water container that helps people get water from a public reservoir. In the year of 2050, serious water shortage occurs in some wealthy inland cities. In this situation, a new way of water distribution must be applied. 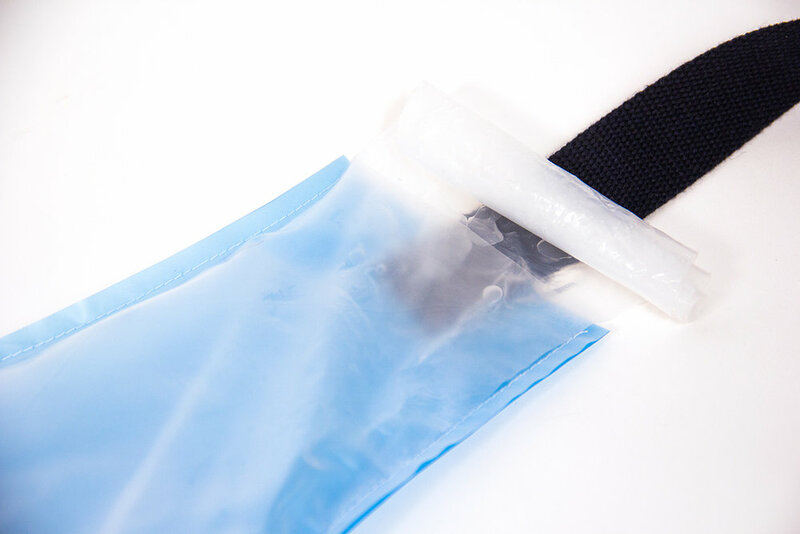 This customized wearable water bag is made based on how much water people chose to use and they must be able to carry the water they are going to use. At present, for most people living in the city, the only standard for water usage is the water fee. And for cities like New York, most renters don't even need to pay water fee base on how much water they use, as water fee is included in the rent. However, money is not a good media to connect the amount of a kind of resource with people's psychology, so I come up with another way to create more connection between people and water-the feeling of bearing weight. By design this water container，I hope to explore an option to distribute water in a way that can generate people's water-saving awareness.